The CSULB Computer Engineering and Computer Science Department (CECS) is working on a $62,000 pilot project to build a software application that would help the city of Long Beach improve inspection of its hundreds of miles of sewer lines. 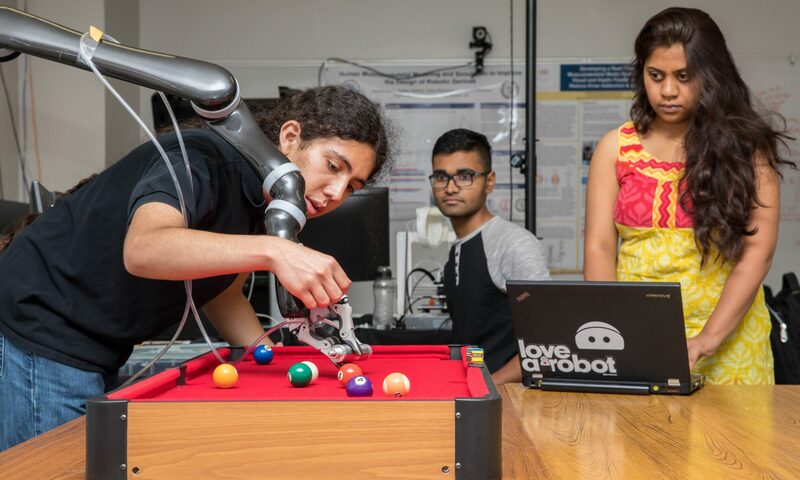 The application being developed by CSULB engineering faculty and students would add some automation to the inspection process through a software tool that scans video images to detect problems. The city’s aging network of sewer pipes must be regularly inspected to keep drains flowing freely—a process that takes about a decade to complete. The inspection process is currently carried out by video cameras that are pushed through tunnels to capture images that are viewed by employees visually checking for problems or needed repairs. In 2009, the city’s Water Department cleaned 2.2 million feet of sewer mains and laterals. 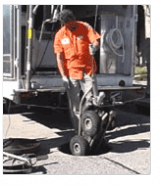 Although the video equipment helps locate sewer repair needs without undertaking expensive street excavation to pinpoint problems, viewing video of the miles of tunnels can be tedious for the inspectors. “They tell us that they can miss things. It’s tunnel vision at the most extreme,” said Computer Engineering and Computer Science Chair Burkhard Englert, the project’s principal investigator, who said the video device being propelled through the sewer system looks like “an electric raccoon.” The project team also includes CECS professor Mehrdad Aliasgari , assistant professor Birgit Penzenstadler, and three undergraduate students. “If it works and it works well, they may continue to fund us. We’re really participating in what the community needs. And it’s for the students too,“ Englert said. This is the second application that CECS students and faculty have created for industry. Under Metrans, a collaboration between CSULB and the University of Southern California, students created an app to help manage truck traffic. The recently completed $75,000 project was sponsored by Caltrans and the U.S. Department of Transportation. Englert, principal investigator for the project, said the team is looking for a partner interested in supporting further testing and data analysis.